Provide comfort for the family of Reynaldo Marquez with a meaningful gesture of sympathy. 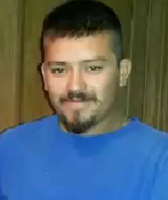 Reynaldo Fonseca Marquez, 27, of Stephenville passed on February 5, 2019. A funeral service will be held on Sunday, February 10, 2019, at 2:00 PM at the Stephenville Funeral Home Chapel with Ron. The family will receive visitors from 6:00-8:00 PM on Saturday, February 9, 2019, at Stephenville Funeral Home. Reynaldo was born on August 25, 1991 in Queretaro, Mexico. He Married Leslie Marquez in 2017 in Stephenville. He passed away on February 5, 2019. Reynaldo worked for Americalf for many years. Reynaldo’s greatest passion in life was spending time with his children, family, fishing and camping. Reynaldo is survived by his wife, Leslie Marquez, of Stephenville; three sons, Darrian, Martin, and Michael; and two daughters, Kassandra and Marid. He is also survived by his sister, Maria V. Marquez and brother-in-law, Octavio Andablo, of Bryan, Texas, and his sister, Eusebia Marquez and brother-in-law, Malcon Olguin, of Florida, and numerous nieces, nephews, and cousins. To send flowers in memory of Reynaldo Marquez, please visit our Heartfelt Sympathies Store. We encourage you to share your most beloved memories of Reynaldo here, so that the family and other loved ones can always see it. You can upload cherished photographs, or share your favorite stories, and can even comment on those shared by others.